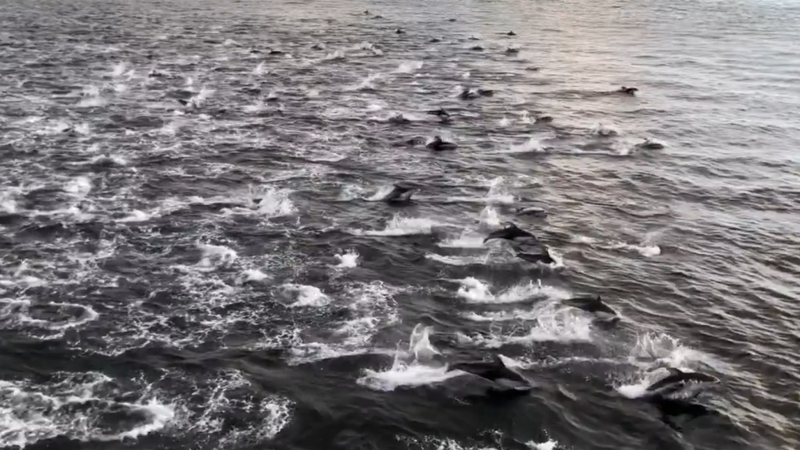 A Comox man's jaw-dropping video of a large pod of dolphins swimming alongside a ferry is soaring in popularity online. Henry Irizawa was taking an 8:25 a.m. ferry from Nanaimo to Horseshoe Bay on Tuesday when the captain made an excited announcement over the ship's intercom. "Folks, there's about 200 dolphins straight ahead," Irizawa remembers hearing before heading straight to a top vehicle deck for an unobstructed view. To his amazement, Irizawa laid eyes upon an estimated 200 dolphins swimming, jumping and seemingly playing right alongside the vessel. 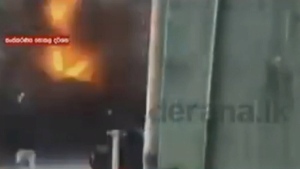 "I've never seen anything so awesome," he said, adding other passengers were speechless. "You could tell they were having fun. They were so full of joy just breaching and coming up and playing with the ship, in a way," he said. He pulled out his iPhone X, recorded a short video of the pod and posted it to Facebook. "Escorted by 200 dolphins on the 8:25 am BC Ferry to Horseshoe Bay on my way to Rogers Arena. Wow!" Irizawa wrote. That post has since gone viral, being shared more than 3,300 times and viewed more than 140,000 times on the social media site. While some people expressed concern for the dolphins' safety, Irizawa said they were only swimming alongside the ferry for two to three minutes – and none were struck. Others suggested that the dolphins might actually be porpoises, but he said a friend who belongs to a monitoring group called Whales and Dolphins BC told him they appeared to be Pacific white-sided dolphins. The species is found in waters ranging from Japan to North America, and from the coast of Alaska down to Baja, Mexico, according to the Vancouver Aquarium. There are estimated to be 900,000 of the marine mammals in the entire North Pacific. Irizawa said the fact that the video skyrocketed to viral fame shows the power of combining social media with nature. "How can you not like watching wild animals at play like that and having fun?"